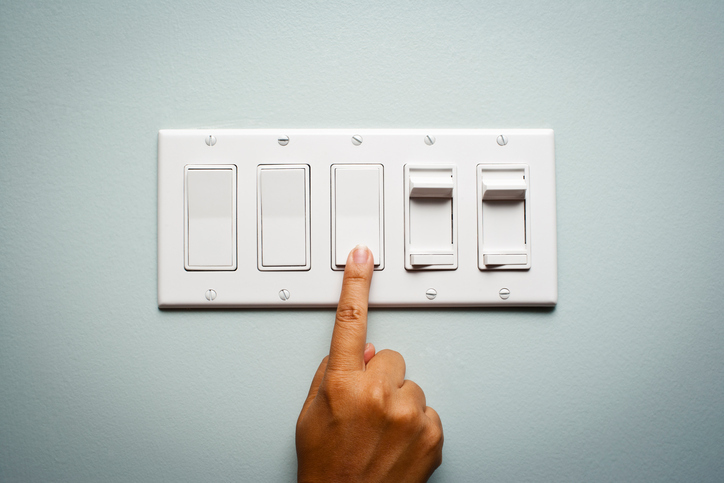 When shopping for a home, you're probably focused on things like the size of the master bedroom and the kitchen's proximity to the family room, but you should also be on the lookout for electrical safety issues. 1. Check out the electrical panel. Make sure it was installed properly and in the right location. Panels must be in a spot that is easily accessible to firefighters in case of an emergency. The panel should not be hot to the touch and make sure it wasn't part of a manufacturer recall in the past several years. 2. Make sure the home has enough amps. If you are constantly tripping a circuit, you may be using too many electrical appliances at once or you may need to consult an electrician to inspect further and increase your home's electrical supply. 3. Make sure AFCIs are installed. An AFCI—or an arc fault circuit interrupter—breaks the circuit when it detects an electric arc in the circuit it protects to prevent electrical fires. According to the Consumer Product Safety Commission (CPSC), 50 percent of electrical fires that occur each year could be prevented by having AFCIs installed. The CPSC also advises checking to make sure a home has enough ground fault circuit interrupters (GFCIs). GFCIs can prevent electrocutions, so make sure they're installed in locations required by the National Electrical Code, such as kitchens, bathrooms, garages, unfinished basements and near laundry tubs or wet bar sinks. GFCIs (those little red buttons on outlets) should be tested once a month.